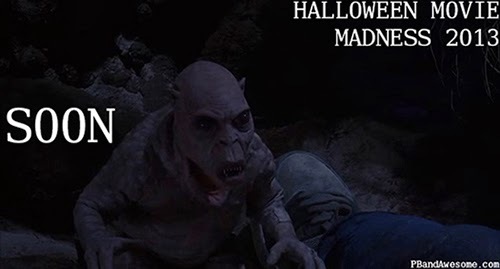 For those who weren't around for last year's Halloween Movie Madness, I want to give you a breakdown of how things work. 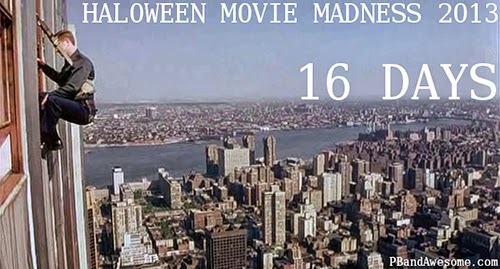 Starting tomorrow night, and then every night until October 30 I will be watching a Halloween-ish movie. The next day, I will be posting my write up on the movie I watched the night before. This year, the format is going to be a bit different. Since I am going to be watching movies that I remember (at least partially) from my childhood (well, up until I turned 18 anyway), I will start off with my main memories of the movie, and then compare them to what actually happens in the movie. I'm sure I'm misremembering more than a few things. 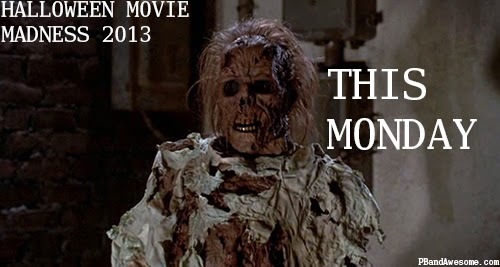 Tomorrow, before I watch my first movie, I will be revealing the full list of movies I am watching this year. 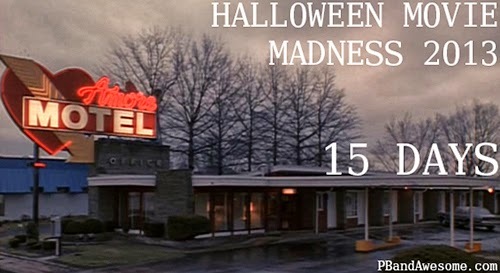 Halloween Movie Madness - Three Days Away! 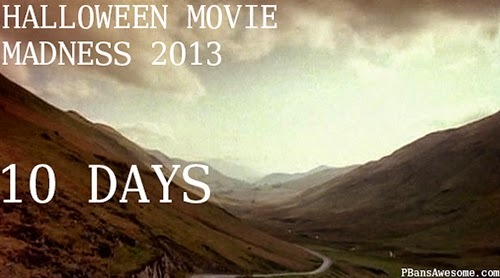 Sorry I didn't have a countdown post yesterday. I was sick and completely out of commission. It's pretty exciting to know that we are only a week away from HMM 2013! I'm itching to start watching these movies. 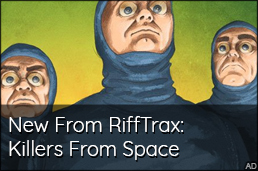 I haven't seen most of them in at least ten years, and the anticipation is starting to get to me a bit. 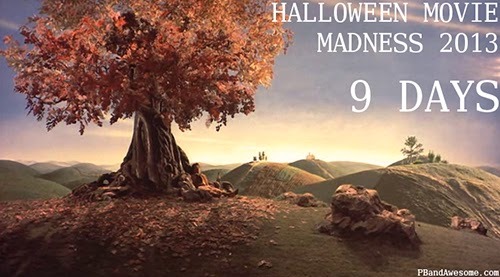 All of the films for Halloween Movie Madness 2013 come from my childhood, and that means some of them are not what many would consider to be a Halloween movie. From my memories of them, however, that's what they are perfect for. Certain things from these movies stuck out to me because they were so bizarre and/or frightening to a young, impressionable mind. I'm hoping by talking about these movies and why they affected me, that you will not only be entertained, but you will also get to know me a little more than you already do. There she is. Everyone's favorite new Smash Bros. character, in the proverbial HD flesh. Even making a Reggie joke. The reason she kicked off the Nintendo Direct is because it was focused on Wii Fit U and Wii Sports Club, both of which provided with interesting and exciting news. 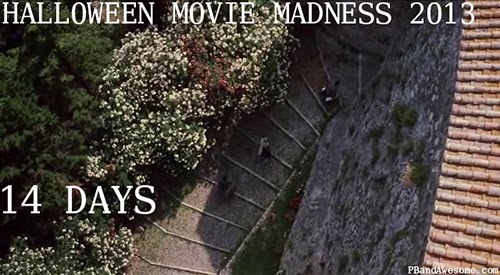 So far, all of the images have been from movies I am doing in this year's countdown. Have you recognized any yet? The full list reveal is coming in just a few days! 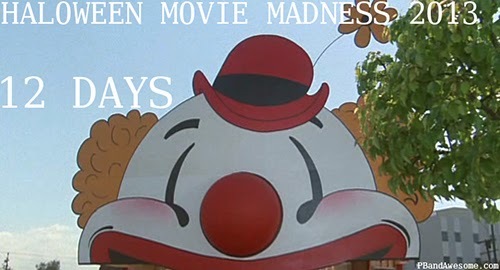 I mentioned before that this year's countdown would be more self-centered. 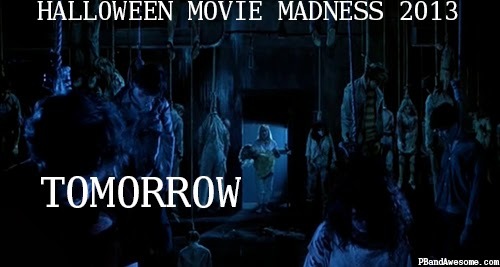 All of the movies in this year's Halloween Movie Madness have made a lasting impression on me. And I saw them before I turned eighteen, so they have also shaped me into who I am now. 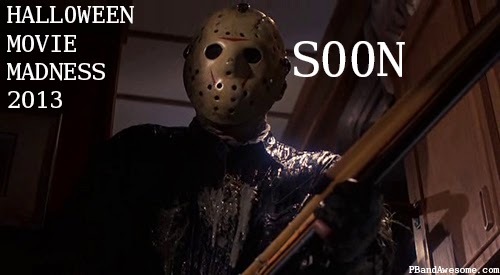 That is why, as you will see when I reveal the list, I have chosen a few sequels over the originals. I simply saw them first, and therefore, I have stronger memories of them. 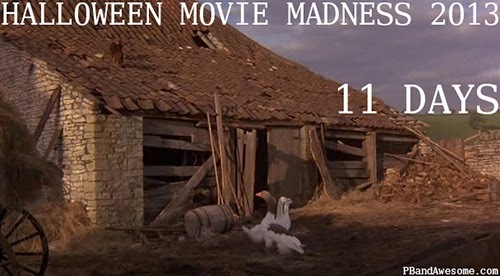 For this year's Halloween Movie Madness, I have a very self-centered theme. It's almost that time of year again! 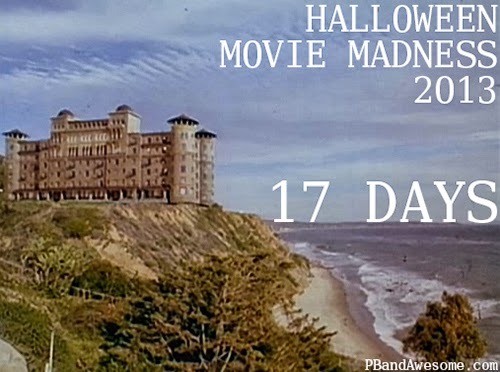 And that screen is from the first movie in Halloween Movie Madness 2013! 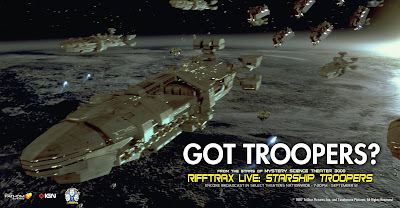 RiffTrax Live: Starship Troopers! - Again! 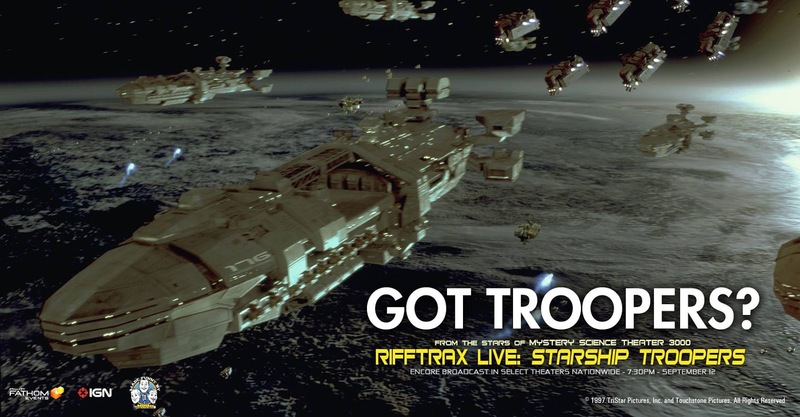 Good news for those of you who missed out on the original broadcast of RiffTrax Live: Starship Troopers! This Thursday, September 12, there is a special rebroadcast of the event! 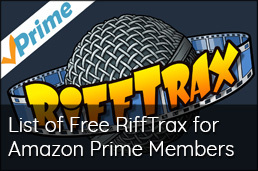 And what makes it even better is the fact that they are fixing the audio problems that occurred the first time around. Tickets are available now, so don't wait to buy them. The original broadcast sold out in many theaters. It almost even sold out up where I live, and that's rare. If you want to see it, go buy the tickets now! Hello! 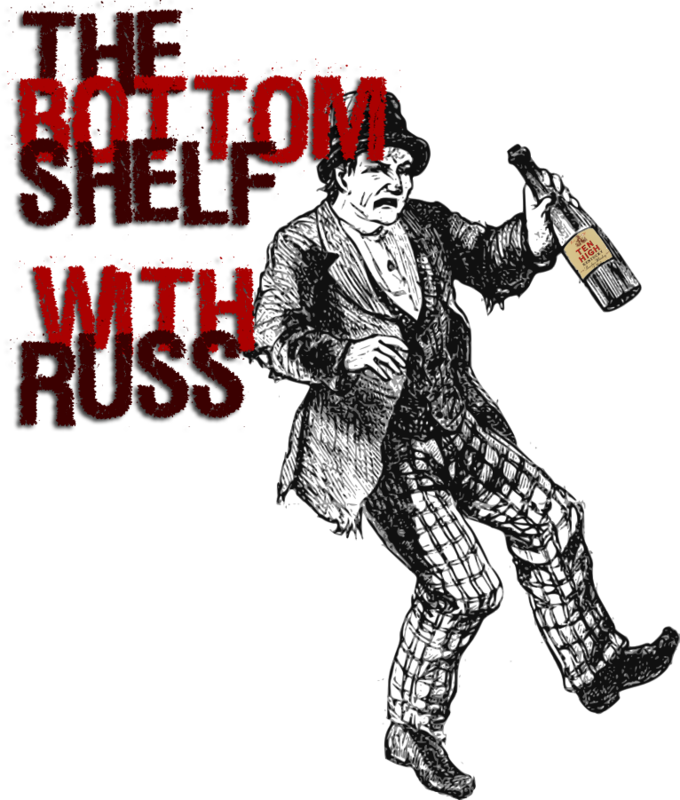 We have a little something different today from Bottom Shelf Russ. Some everyday observations while sampling Ten High whiskey. 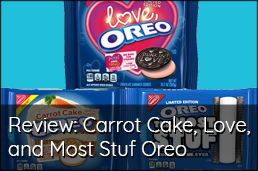 The first part of today's post is a little bit on the serious side. Just so you know.